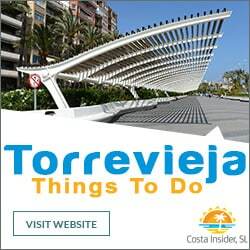 Torrevieja Electricians have been ‘firmly grounded’ on the Costa Blanca for the last 14 years. The powerhouse behind the company is the dynamic and highly professional, Andrew Brown. From his electrical grassroots as an apprentice with the well known and respected UK electrical engineering company, N G Bailey, Andrew has continued to excel in his chosen field. Always keen to add to his repertoire of skills, he travelled to the industrial capital of the world, China where he underwent further rigorous training to qualify as an approved engineer for DVT pool heaters. One too many bleak icy winters saw Andrew and his family pack up their belongings in England and head for sunnier climes on the beautiful shores of Costa Blanca. Living the Spanish dream however does not come without considerable commitment and hard graft. 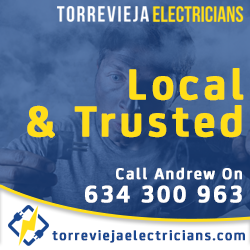 After settling into the popular British and Irish enclave of Orihuela Costa, Andrew set his mind to establishing his new company, Torrevieja Electricians. 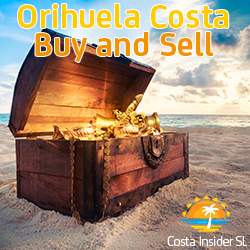 Now, after 14 years of building his reputation, he and his team at Torrevieja Electricians have become a household name in the city, and indeed Orihuela Costa. Domestic Electrics – Homeowners and holidaymakers alike face domestic electrical problems on a daily basis in Spain. That’s just the nature of the beast when adjusting to new or outdated electrical systems. With 14 years of local experience under their belt, Torrevieja Electricians can safely undertake all domestic electrical problems or upgrades. No job is too big or small, from simple wiring repairs to complete home rewiring, new fuse boxes or lighting requirements. This includes all indoor and outdoor lights and fans, pool and pond lighting, faults and faultfinding. 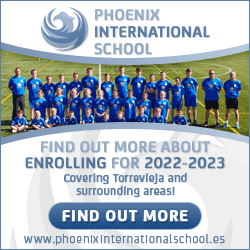 Commercial Electrics – Many expats who put down roots in Torrevieja or Orihuela Costa do so in order to open their own business. Torrevieja Electricians have got you guys covered. Be it a small family run bar or a huge car showroom, whatever your electrical issues may be, you know who to call. Some of the projects the team have worked on include electric gates, roller shutters and door systems for factories and warehouses, and all types of business premises wiring and lighting. So don’t waste precious days of holiday high season waiting on repairs, call Torrevieja Electricians. Above are just a few examples of the work Andrew and his team can offer both their English speaking and Spanish customers. 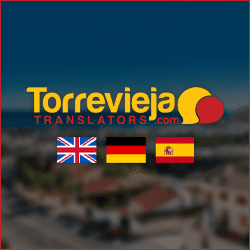 The staff who maintain Torrevieja Insider website always recommend using Torrevieja Electricians to our readers and advertising clients and will happily continue to do so, hopefully well into the future. 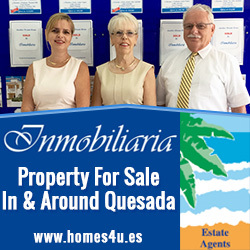 Inmobiliaria are local professional real estate agents offering property for sale in Ciudad Quesada and surrounding areas since 1989.